Sambucus nigra 'Black Lace' also known as elder 'Eva' is a very striking, non-evergreen shrub with finely-cut, purplish-black leaves from spring to autumn, giving a distinctive lacy effect. 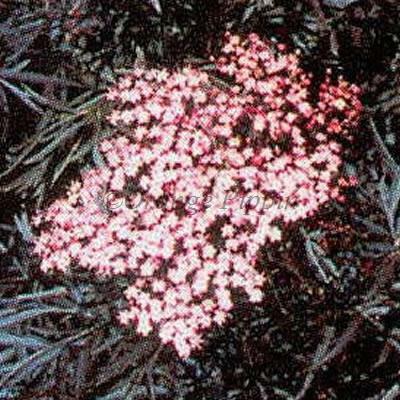 Flat clusters of tiny pinkish flowers are produced in great abundance in summer and have a grape-like scent which is characteristic of elder flowers, these may be followed by blue-black berries. The berries and flowers are edible and may be used for flavouring and cooking. This stunning shrub would look beautiful planted within a flower border or bed within a city, courtyard, coastal, informal, wildlife garden or can be used as hedging and is best positioned in full sun to obtain the brightest leaf colour.